HUGO modernizes this ‘Aikonen’ navy wool suit with its lean fit. 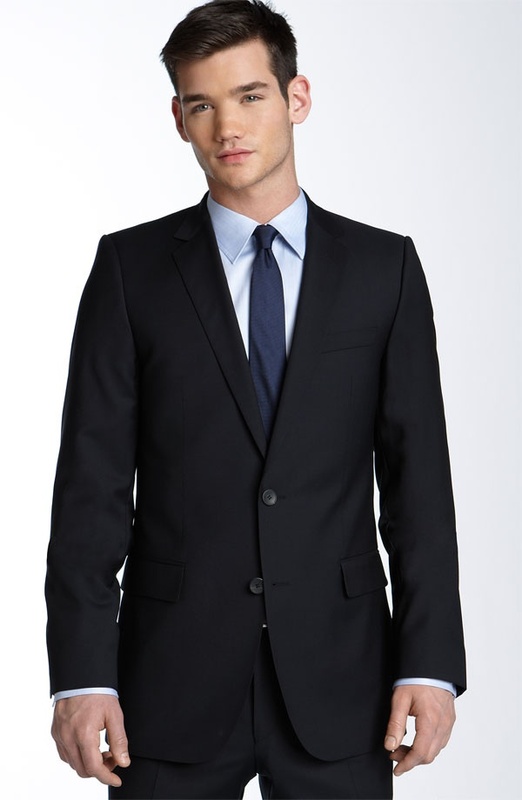 The handsome suit pairs a notched-lapel, two-button jacket with flat-front trousers. The clean design makes for a dashing formal look. Available online in regular, short and long fits. This entry was posted in Suits and tagged HUGO, Suit. Bookmark the permalink.